This Taupo accommodation is sure to make your holiday extra special. 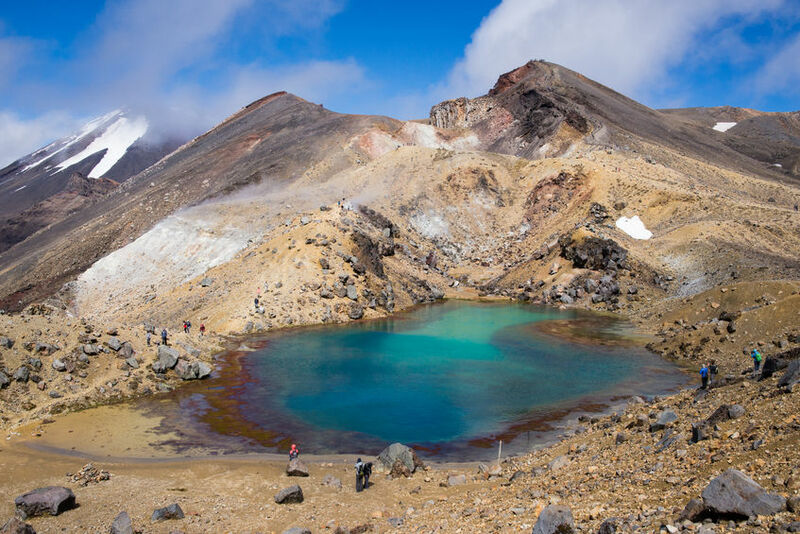 Holiday Memories in Taupo start here! 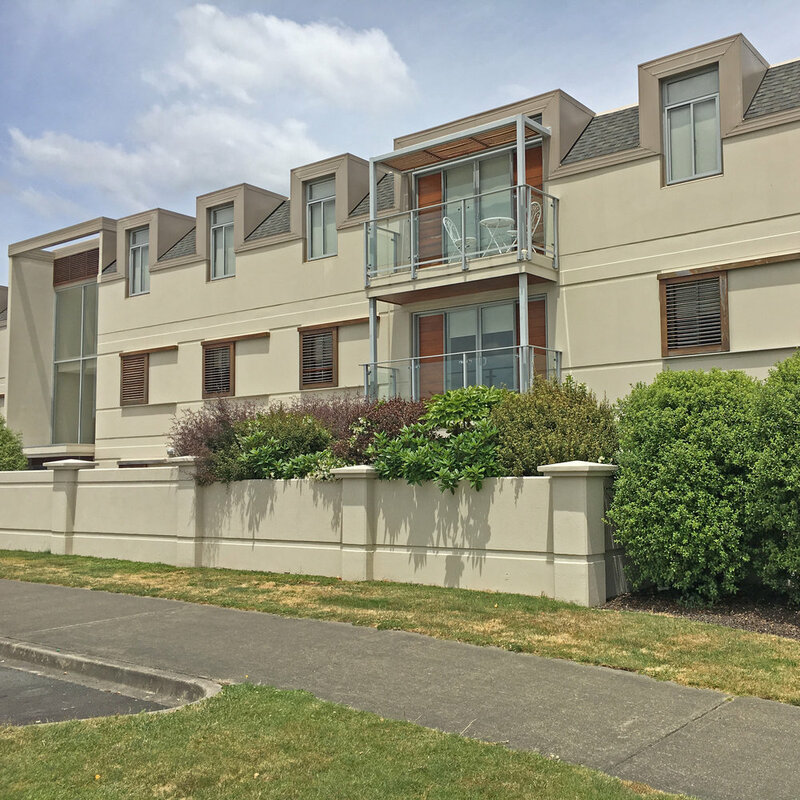 This two bedroom, two bathroom Taupo holiday apartment is centrally located only one block from both Taupo Town Centre shops and cafes or Taupo Lakefront. At this Taupo Holiday Apartment you will find all the modern conveniences and comforts of home. The apartment is fully furnished featuring a queen size bed in the master bedroom with ensuite and another queen size bed in the second bedroom. Off the lounge there are double sliding doors that open onto a lovely courtyard complete with outdoor furniture and a BBQ for entertaining or lounging in the sun. You are welcome to take advantage of the facilities offered by the complex including a swimming pool and gym. 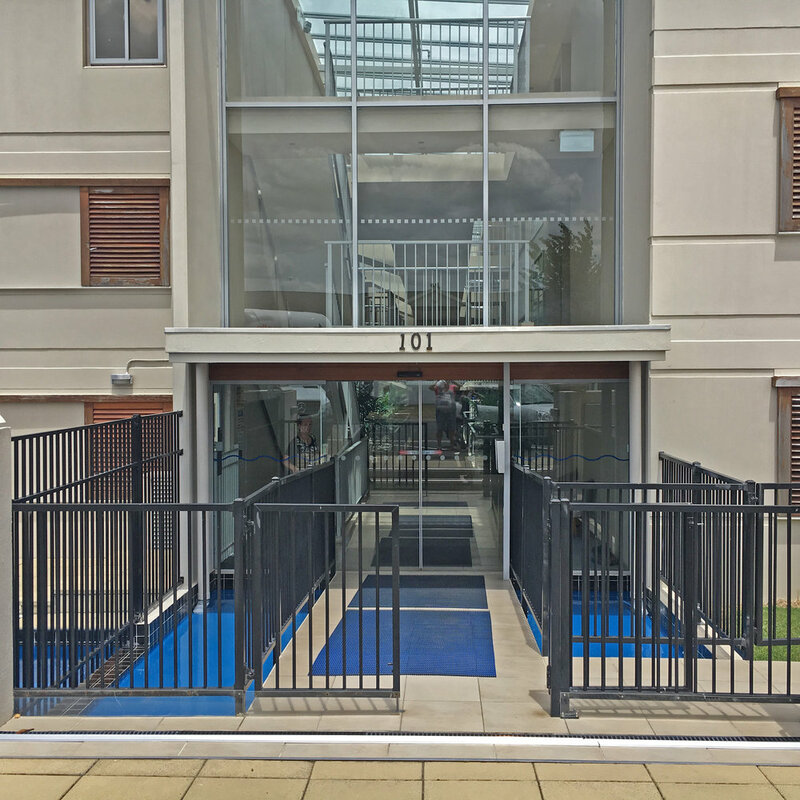 This apartment also features one underground parking stall with available off street parking. 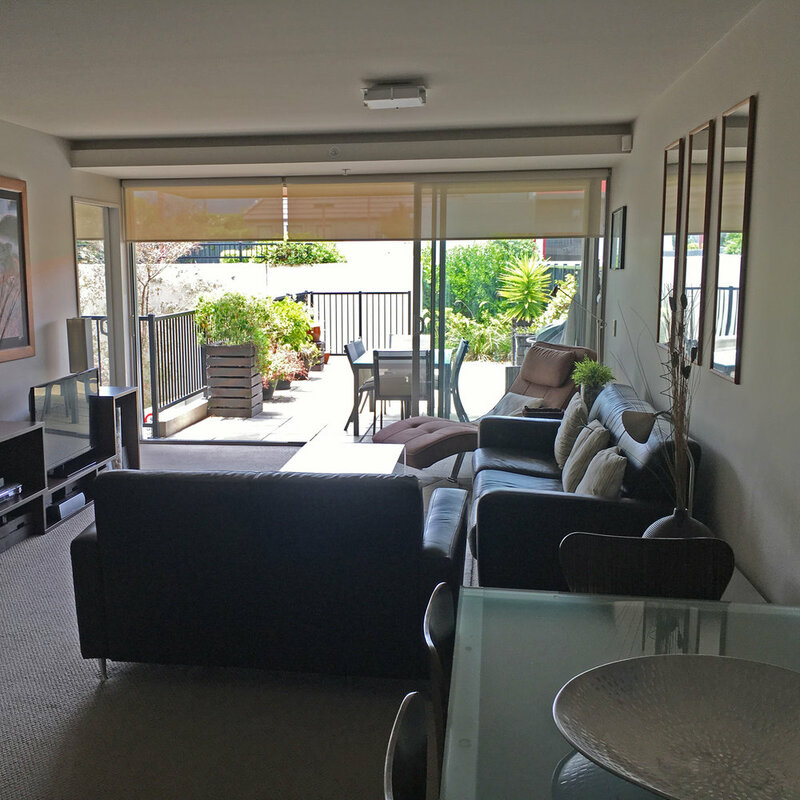 This furnished apartment has everything you need for your holiday in Taupo. 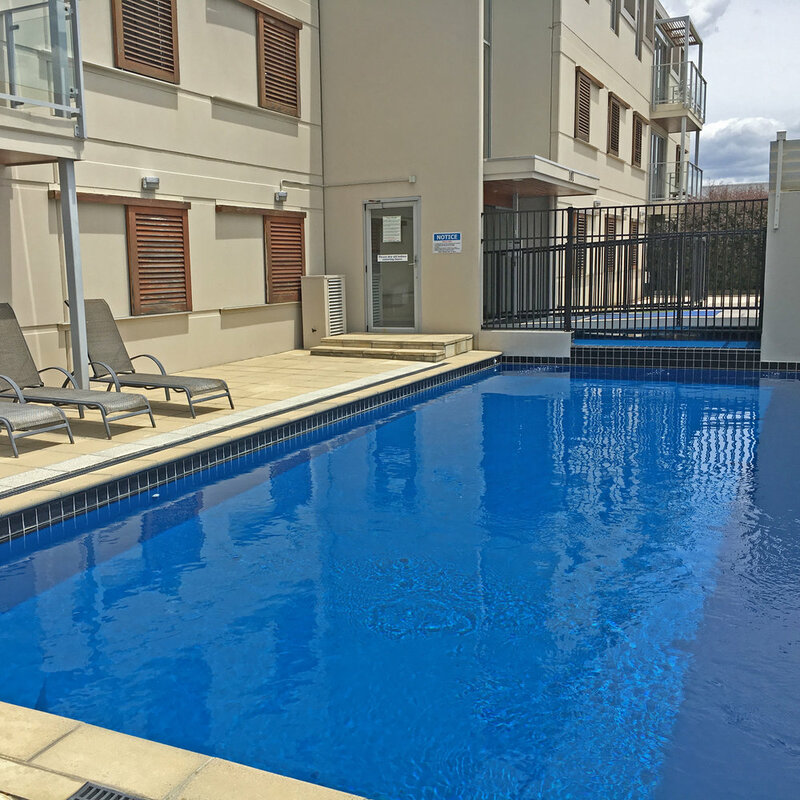 Amenities include a communal swimming pool and gym as well as SKY TV and WIFI. A washing machine and dryer as well as BBQ and fully equipped kitchen provide all the conveniences of home. Located close to Taupo town centre means shops and restaurants are only a short stroll away. This is a holiday home where you can base yourself to enjoy all the Taupo region has to offer including an array of water activities on the lake, the popular Tongariro Alpine Crossing, world class golf and fishing, skiing and snowboarding on Mt Ruapehu or participating in one of the many international events. 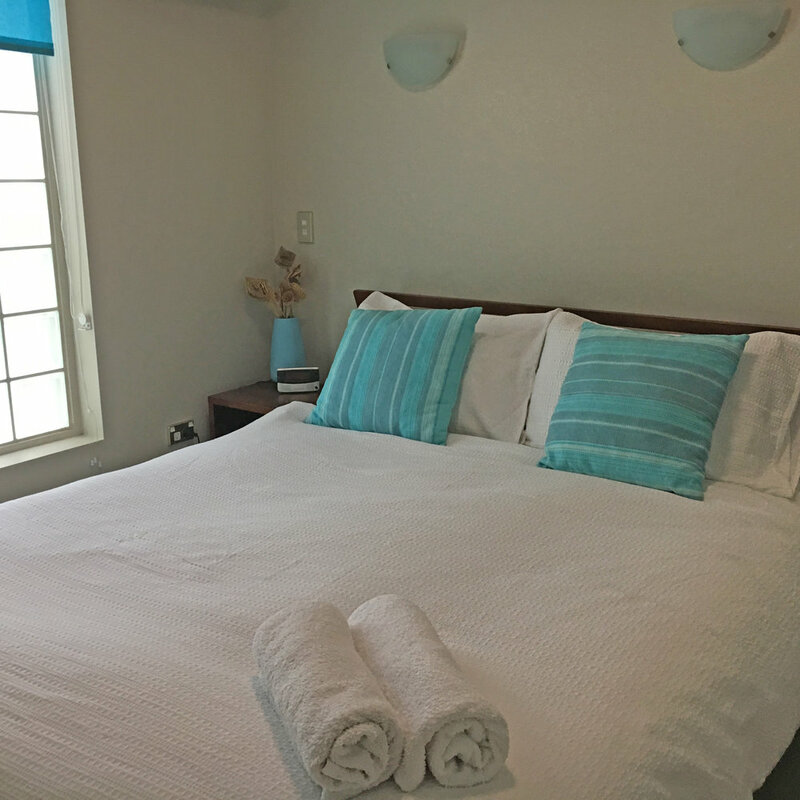 At this Lake Taupo holiday apartment you are only a few mintues walk from both the Taupo Lakefront and the Taupo Town Centre. 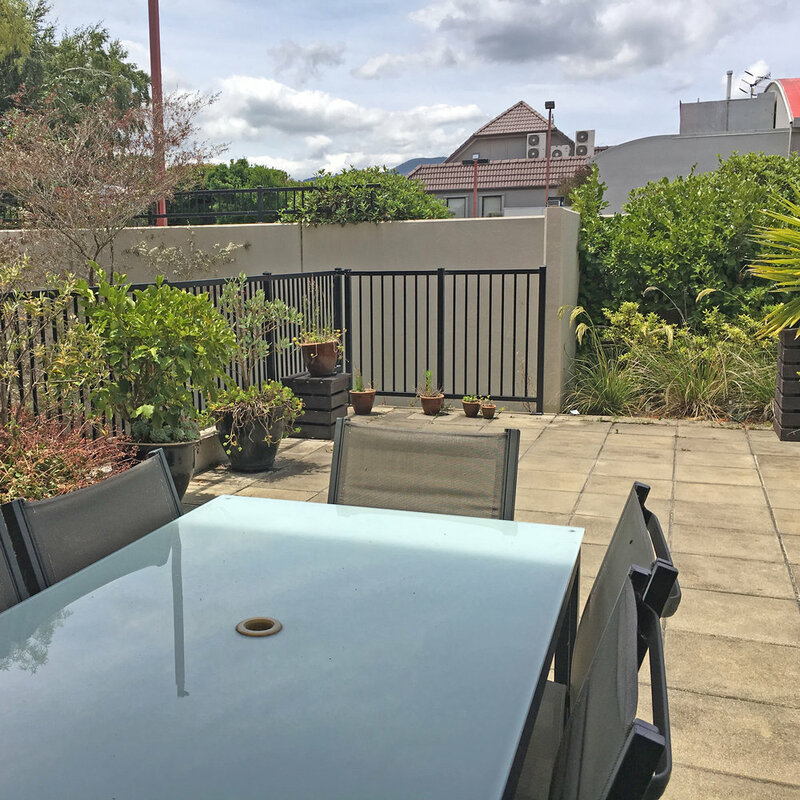 The location is ideal for you to park your vehicle for your stay and walk to everything you need from cafes and shops to the popular Lions Walk along the Taupo lakeshore. Being only one block up from the lakefront, a short stroll will have you enjoying a morning walk, taking a dip in the cool crystal waters or watching one of the amazing sunsets.